As with any new product, it’s easy to write a positive review once you use it the first time. With socks, this is particularly true. 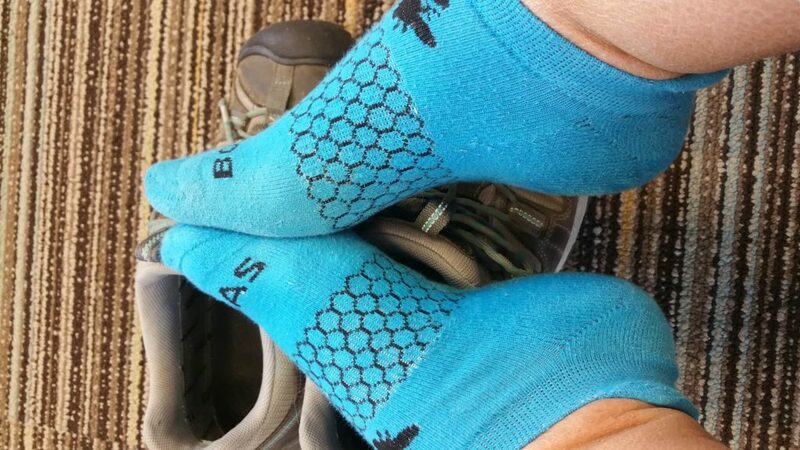 But I put my Bombas to the test for a year two years, and here’s my Bombas sock review. As an urban hiker and walking traveler, I expect a lot from my feet and their footwear. Although I’ve moved from Merrills to Keens (which I’ll eventually blog about), and I love my Korkers, the one constant for the past year two years has been my Bombas. They are as true and fit as the first day I got them, despite over 100 200 wearings and washings. I have two types of pairs, the Bombas ankle and the Bombas calfs. Since I don’t wear the calfs that often, this review is strictly about the ankle socks. Let’s start with the fit. Not too tight, not loose, they are the perfect fit with their hive-like arch support. The toe has stayed true as well, not losing its shape nor shredding its seam. The heel stays put, never riding up or slipping down. The second best part of this sock is certainly the neck. A soft curl protects the back of my heel from the rear lip of my shoe. In addition, the curl is just thick enough to discourage sand and pebbles from sneaking in during my trail walks. 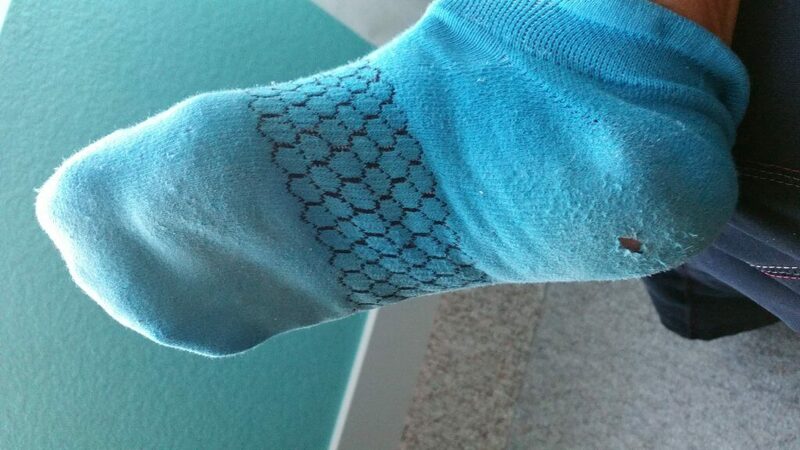 What’s the first best part of this sock? For every pair Bombas sell, they donate a pair to homeless shelters. 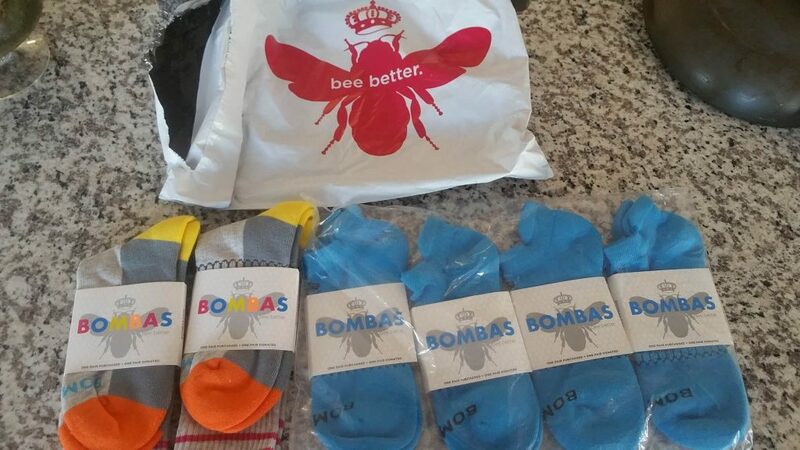 As someone who interacts with homeless every day while I walk the sidewalks, trails, and streets of Denver, I see this need first-hand, and I’m grateful Bombas sees it, too. I originally ordered a four pack in January 2016. 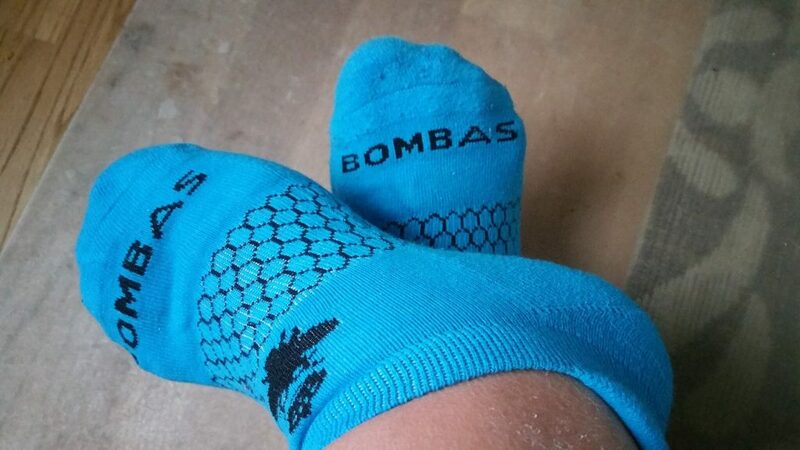 Now, a year two years later, I’m still loving these turquoise blue Bombas, although they are a tad faded. Their form and fit have persisted, and I see no reason to order any more in the near feature. But then again, the new super cute purple grippers might have to just show up in my wardrobe. I can barely resist. Two years later, a hole! The color has faded, but the fit is still good. Update: It’s two years later (January 2018), and here’s the original pair on my feet. Still going strong! One of the socks of the original pack has a hole in its heel, but other than that, they still fit snugly and comfortably. P.S. On 2/13/2018, I finally threw out my first pair of Bombas due to the hole in the heel and the fit had become too loose.